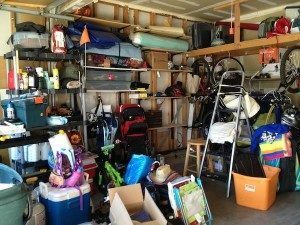 Property Clean Out Service or Dumpster Rental in Delano — Which is Better? Hire a property clean out service or rent a dumpster? If you’re asking the question, it means you have a big project on your hands. And, you know debris is a big part of it. That’s the good news. The downside is you really aren’t sure which way to go. That’s okay, read on to learn about the difference between a property clean out service and renting a dumpster. The property clean out service or dumpster rental conundrum hits anyone with a big job. So, let’s take a quick look at what to know about renting a container. First, you’ll have to measure correctly. If you rent a container that’s too small, you’ll need to rent it again. And, if you rent one that’s too large, you’ll waste money on wasted space. Most trash collection agencies (and even private companies) are limited in what they accept. For instance, hazardous materials, like electronic waste disposal, is one example. That means you’ll have to find another way to deal with it.So, there’s the matter of what you are throwing out. This is due to the fact that dumpster rental companies prohibit a whole host of items. All of this, not to mention that dumpster is a huge obstacle that will stay put until it’s hauled away. Avoid heavy lifting. All the heavy lifting is your responsibility. Either that, or cash-in on some big favors from family and friends. But, if you hire a property clean out service, all the hard work will be done for you. Don’t worry about sorting. All the heavy lifting is your responsibility. Either that, or cash-in on some big favors from family and friends. But, if you hire a property clean out service, all the hard work will be done for you. Receive an upfront price. Yet another advantage of a property clean out service, is you’ll get an upfront quote. But, doesn’t a dumpster company give you a price? Yes, the trick is you have to get the measurements right the first time. Forget about inconveniences. After the dumpster is dropped off at your location, it’s not going to be moved until its scheduled pick up time. That means having to work around it, which can mean having to park elsewhere and other inconveniences. These also include possible code or traffic violations. If you need property clean out done right, just phone 800-433-1094 or visit Junk Garbage Removal.